Increase engagement and collaboration amongst your users. 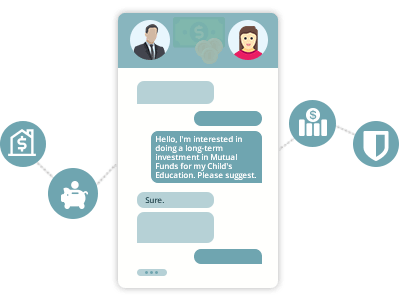 Achieve new use-cases by enabling rich conversations using our Chat SDK and Messaging API. 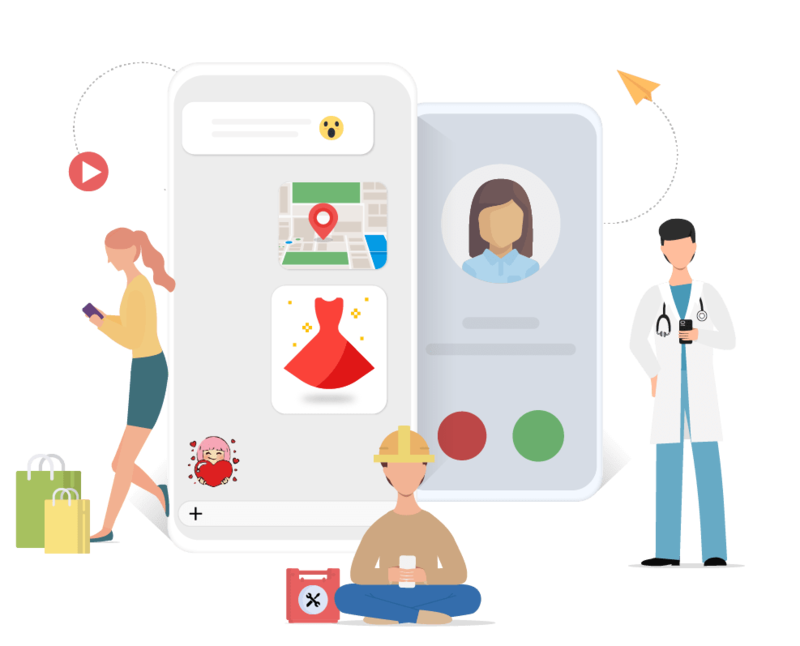 Our Chat SDKs and Messaging API seamlessly integrate with your Apps to deliver tremendous value. Increased interaction amongst members; Engaging chat experience; Multiple touch-points. Seamless integration in existing website & apps; Messaging workflow that has max impact; High utility & new business use-cases. Zero to small development cycle; Faster time to Market; Fully managed messaging infrastructure. Interactive Real-time Communication with features at par with popular messaging platforms. 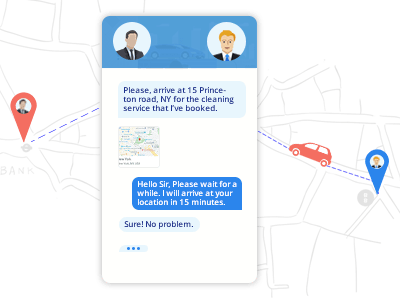 Channelize supports both one-to-one chat and group messaging so users can connect to their contacts, thus increasing your app’s usability & engagement. High quality, secure voice and video calls can be enabled between users for deeper engagement and increased convenience. 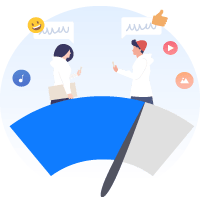 Your users can share Emojis, Stickers, GIFs and various files like images, videos, audio, documents, etc during conversations. Location sharing too adds a lot of usability. Both Mobile and Web Push Notifications ensure that your users do not miss important messages. They also help drive traffic back to your website & apps. Informational messages for various actions and events in conversations add important contexts and enhance quality of conversations. Message statuses like delivery / read receipts increase interactivity in conversations. is a proven growth booster. Teaching students offline and want to expand online? Or want to improve the way teachers interact with students on your existing online platform? Or just want to connect teachers, students, parents so that learning never stops? 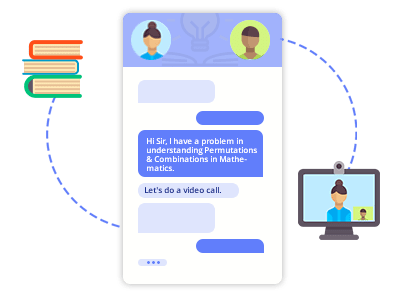 Channelize can do it all, implement In-App Text, Video & Voice interactions within your platform through our Chat APIs. Let your users get the best way to interact. Create focussed groups to take sessions. Allow Teachers and their Assistants to help students by faster doubt resolution. Customers repeat when they don’t have to wait; Increase revenue by connecting your buyers, sellers and service providers all at one place. On-demand, in business sense, means ‘real-time’. Give your users a solid place to interact inside, rather than call or text outside your App. The premium feel, that your users will get, by avoiding switching back and forth between multiple applications, is the trick to get repeat customers. Channelize provides a smooth experience by connecting buyers, sellers and service providers, all on your platform. Our Messaging APIs and Chat SDKs ensure that the integration and branding is yours. Reaching the customer when the intent of purchase is highest, this real-time communication system is sure to increase your sales graph exponentially. Plus, In-App Messages is way cheaper than SMS and Emails. Increase User Engagement upto 27x by changing the way your community interacts. It’s no surprise that the word ‘community’ comes from the word ‘communication’. Channelize is the best chat communication solution for online communities. Let your users say, sing and shout-out-loud their messages with In-App chat, Video & Voice Calling and build up engagements. Unprompted user engagement is the ultimate goal of all communities, and they should bring users back repeatedly, without depending on costly advertising. This is where Channelize comes in. And yes, we match your brand theme with our Chat SDK. Don’t just give them a place to find a partner, but a place to cherish those conversations in your App. Are people using your platform to find a Date and then moving to another App for communication? The problem might be bigger than you think, sharing contact details with some stranger might be tricky and can lead to lack of trust on your App. Or, you have a messaging system in place but it’s not engaging enough with good features. Think no more as Channelize serves both purposes. 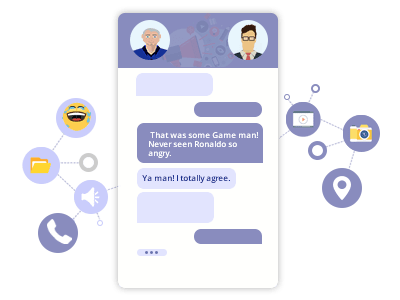 Our Chat API ensures that your app gets messaging within, with features no less than today’s most popular messaging platforms. Connect patients and doctors easily to save more lives, literally! 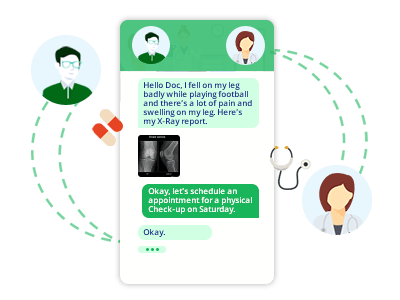 Innovative healthcare organisations and aggregators use in-app messaging to facilitate flexible communication between Patient to Doctor, Doctor to Doctor or Patient to Patient. Let your users stay in touch with a physician at all times. 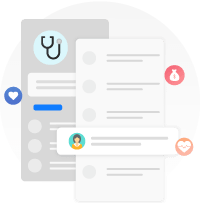 Its application benefits are beyond imagination, ideal for post-hospitalization care, effective drug management, sharing of medical reports and features like one-tap emergency messaging can literally save lives. Engage in Patient Centric Group conversations to bring the complete healthcare team together for powerful team dialogue. The more they talk, the more they buy. That too all analyzed! Customers have many queries while taking financial decisions, and they take quotes from various providers. Two factors that can increase conversion rates for financial platforms are: (a) Be quick in sending quotation; (b) Get that talk going! Channelize is a single arrow that can close both these shots for you, and can even get you bigger ticket size of investments. Not only these, get Channelize to hierarchically connect your army of agents so that all are on the same page and remain motivated. Get way ahead of your competitors by enabling In-App Communication through our Chat SDKs across all your platforms. Let your prospects see all options without waiting or sharing too much data. Analyze agent interactions for useful insights.  Build scalable messaging with Channelize’s simple to use, powerful in production, and endlessly scalable APIs and Web-hooks. 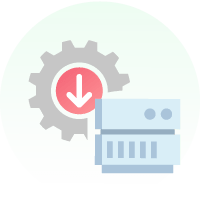 Move to production fast with the pre-built UI Kits and SDKs providing all required features with the ability to customize messaging UI exactly the way you need. Grow your business without worrying about the scalability of your messaging infrastructure. Support up to 2 Million MAUs. 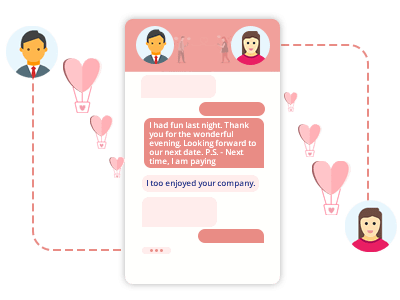 A combination of useful resources covering all aspects of API and UI SDKs and a supportive team of developers help you launch conversational features with ease. Best in class messaging solution - Love it! Most important thing for growth is the ease of communication amongst members. I've found a good partner in Channelize.io for launching chat and calling services on my website and apps. The service I used earlier did not meet the demand for functionality, stability and speed. Thanks for your interest in Channelize! We have sent you an email with demo URLs on the provided email address. Please check your inbox. 2. By ‘we’, ‘us’ in this policy, we mean ‘Channelize’, that is a venture of the “BigStep Technologies Pvt. Ltd.” group, because that’s who we are and we own and run this website. 7. When you access or use our Services, we collect the commands and information your applications have communicated to your Channelize service, and the following for your end application users: IP address, device information, usage statistics, size of media files shared, the number of active users at an instant, end users’ friends / contacts and blocked list, messages sent or received, how those messages were routed, and whether or not the connection was successful. b. other third party sources/ and or partners, whereby we receive additional information about you (to the extent permitted by applicable law), such as demographic data or fraud detection information, and combine it with information we have about you. For example, fraud warnings from service providers like identity verification service. We also receive information about you and your activities on and off the Channelize website through partnerships, or about your experiences and interactions from our partner ad networks. We also receive information about you as a rights holder from our third-party partners when you purchase our products or services from them. 26. Data Protection Officer: We have a “Data Protection Officer” who is responsible for matters relating to privacy and data protection. You may contact this officer if you have any questions about our privacy practices or the way in which we have been managing your personal information This Data Protection Officer can be reached at the following address: BigStep Technologies Pvt. Ltd., 2nd Floor, SCO-63, Old Judicial Complex, Sector 15, Gurgaon - 122001 or info@channelize.io. Want our team to explain better on a short call? Got questions? Provide details and we’ll get back. Love Channelize? Use it to boost your business now!